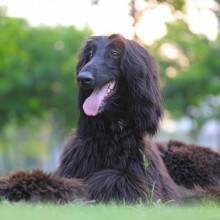 The Afghan Hound is a large sight hound with a very long, silky coat. His original function was to hunt and he may well give chase to any small animal if given the chance. Basic training in obedience and recall is essential with this dog. The Afghan is a glamorous and rather aloof dog who will become very attached to his owner. He needs to live in a large house with a large garden and be given at least two hours exercise every day. His excessive coat will require careful grooming every day to keep it clean and avoid tangles. 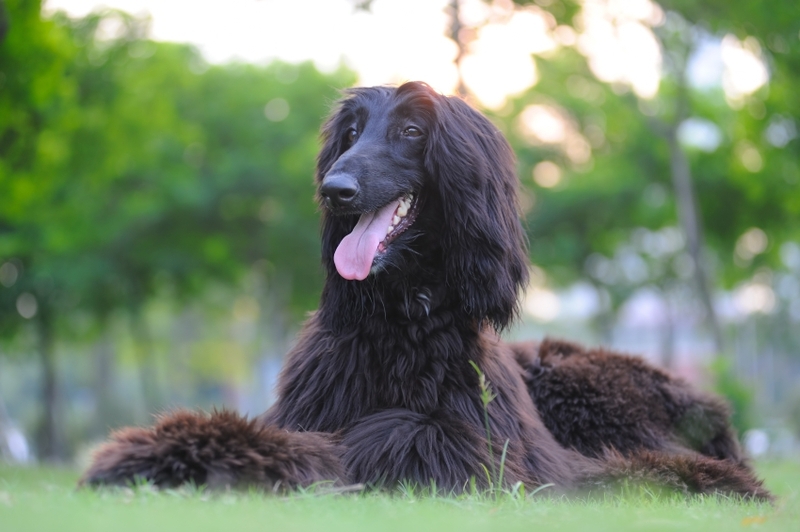 The very long and silky coat will cause welfare problems if it isn’t given the grooming time and care it needs. Hair will obscure the dogs’ vision and collect dirt and debris which in turn could cause skin problems.